January 18, 2016 by Hey Mikey! 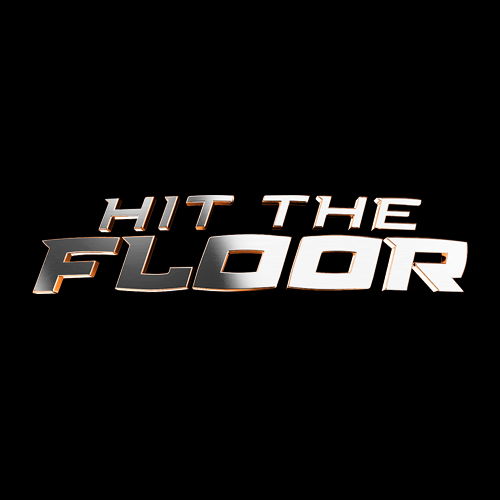 VH-1’s Hit The Floor is back! The drama begins with the Devil Girls annual audition where Jelena and Sloane shoot each other evil glares. The auditions seem to go off without a hitch. Elsewhere, Ahsha auditions for a music video, hopeful she will get back to dancing. When she leaves the audition, German is there waiting for her with white rose, assuring her all will be well. Lionel goes to speak with Terrence while he and Derek work out in the gym. Terrence tries to assure her that his knee has healed up, but she does not seem convinced he is well enough to play. Later, Jelena massages his knee as he tells her how cold Lionel was to him. She assures him everything will be fine. They make love on his sofa. Kyle arrives home to be scolded by Raquel for leaving her closet full of adult toys unlocked. Raquel’s son, Miguel, got into them much to Kyle’s chagrin. The two began to argue like a real married couple as Ahsha looks on. At the arena, Jelena surprisingly tries to ally herself with Sloane against Lionel for not putting Terrence back on the team. Sloane informs her that is a problem for her to deal with and refuses. Derek brings a box of cigars to Pete’s office to congratulate him on the title, but finds German there instead. He tries to make small talk with him and asks about Ahsha, but German informs him she is not coming back to The Devils and has moved on. Jelena approaches Raquel at work and tries to get her to audition for the Devil Girls, but she refuses, feeling those days are behind her. Later, the Deputy Commissioner of the NBA comes to see Sloane, praising her as the moral center of their organization. She sees through his ploy and refuses to allow the league any mercy from the repercussions they may face from turning a blind eye to Oscar’s crimes. At the final auditions, Raquel surprises everyone when she shows up to audition! Ahsha goes to the arena to retrieve a few of her things and is let in by Jelena. There the latter pokes fun at her being fired. Derek and Ahsha spot one another, but do not speak. The old Devil Girls face off against the new girls, and Raquel kills her audition. Ahsha, however learns she did not get the part in the music video. She is saddened, but German comforts her and the end of making love. At the arena, Terrence talks with Pete about his future with The Devils. Pete, however, cannot give him any good news, telling him Lionel could actually fire all of them if she wanted. Pete’s frustration with his ex-wife prompts Sloane to make a deal with the Deputy Director, telling him she wants him to force a sale of The Devils to end the Kincaide’s reign. Meanwhile, Lionel offers Jude a position as her Vice President of Business, but he decides to think on it, considering Zero’s offer. Elsewhere, Zero announces to his teammates within Terrence’s earshot that he would make a great team captain. The latter promises to burn the arena down before he allows that to happen. Jelena informs Raquel she made the Devil Girls, but admonishes her for not showing up at the auditions to be formally confirmed. Raquel is happy to be back on board, but Kyle is not happy for her, feeling them working and living together is too much. Terrence looks on as his teammates play, while Lionel tries to get Derek to sign a new contract with The Devils, offering him his own luxury viewing box. He refuses, telling her he wants more money. Ahsha looks on as the Devil Girls dance. After the players receive their rings, Jude informs Zero he cannot be his agent again and is taking the VP position offered by Lionel. Zero is happy, being turned on that Jude will now be his boss. Later, Terrence proposes to Jelena! Elsewhere, Derek finds Ahsha and declares his love for her and that he has been cleaning up his life for her. Jude manages to keep Derek in contractual talks with The Devils, barring him from other teams. He and Lionel toast to the good news, while Sloane informs Pete that Lionel’s day are numbered. Raquel and Kyle congratulate each other on the night’s performance, but are interrupted when Dave returns and tells her that her life is being made into a movie, Fifty Shades of Kyle. Outside the arena, Lionel and Jelena face off, with both women warning the other not to make an enemy out of them. Later, Ahsha confesses to German that she had Olivia fix the vote to make her the Devil Girls’ top pick and that she could be banned from the League if anyone ever found out. That night, Jelena and Terrence invite the Deputy Director to dinner and tell him they want to buy the team and are willing to do whatever it takes to do it. In prison Oscar puts on his championship ring, while German has a nightmare of Olivia choking him. Ahsha tells him he was screaming Olivia’s name!